Since the release of WordPress 5.0, along with the new editor Gutenberg, website owners have been scrambling to decide whether this major shift in the WordPress landscape is welcome or not. 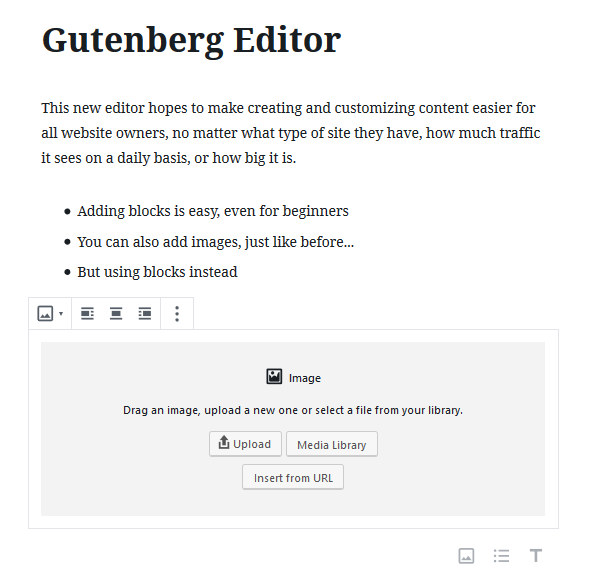 In fact, despite hoping to solve editing issues within the Classic Editor, make customizing your website easy than ever, and allow users to add content using blocks, Gutenberg has gotten mixed reviews. After all, significant changes like this put people into a frenzy because generally, people don’t like change. Since WordPress powers over 32% of all websites in the world, a release as big as this one deserves some attention. That’s why today we’re going to take a look at how WordPress Gutenberg affects large organizations. We’ll share with you the pros and cons of this new editor so you can decide whether to give in and accept the change, or continue to fight it until you have no choice. 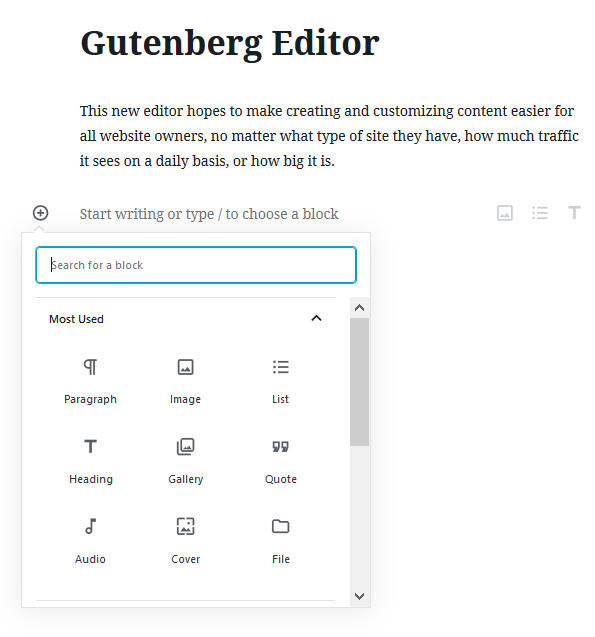 Gutenberg is the brand new way to edit content in WordPress. It’s a client-side interface that uses a block system so you can build up content, control the layouts, and create a fully customized website in a way that you couldn’t before using the default WordPress editor. This new way of editing content in WordPress gives users a more visual way of creating and organizing content. Gutenberg blocks give you everything you need to customize your content, meaning there’s no more need for shortcodes, custom fields, or external code. 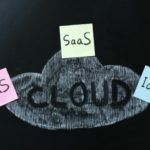 That said, as great as this new editor may seem, there are pros and cons to using it that have the potential to affect enterprise businesses in several different ways. If you have a large business website with lots of traffic, high-quality leads, and sales, chances are you might be unsure about transitioning to something like Gutenberg. Luckily, Gutenberg for WordPress has a lot to offer enterprise businesses. Up until now, WordPress has made little headway when it comes to how you can create and edit content and customize the overall look of your site while using the default system. 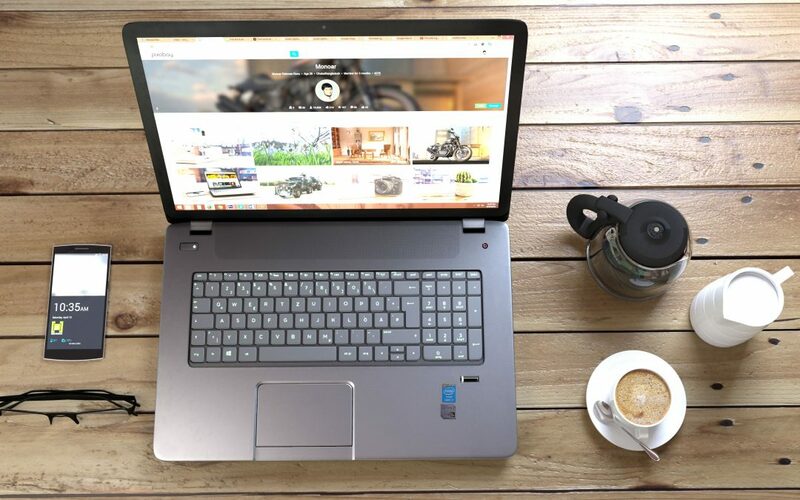 Of course, there are plenty of plugins out there providing site owners with shortcodes, page building tools, custom field and post functionality, and more. But that requires separate plugin installations that may end up costing you a lot of money. And there’s always the problem of dealing with plugin and theme compatibility. With Gutenberg, site owners now have exactly what they need and want to improve the overall design and functionality of their websites – without the need for multiple external solutions. Along with eliminating the need for multiple plugin solutions, Gutenberg has the potential to give all site owners, regardless of skill level, the ability to build beautiful and fully functioning website on their own. Just click on the (+) sign and add a block. Then edit it with text. Simple as that. That said, if you run an enterprise level website, you probably don’t maintain that site on your own. In fact, you may not have even built that website. But if you ever needed to take over, or even make a small change without the help of your web developer, technically you could because Gutenberg is that intuitive. In the end, those without any coding experience or technical knowledge now have the power to build, customize, and even maintain their website, even as it scales. If you currently have a large website that you rely on to generate revenue, you might have an expensive premium theme installed, as well as many WordPress plugins to make sure your site looks and functions the way you want it to. Since the WordPress experts themselves released Gutenberg, you can trust that most of your site’s themes and plugins will remain compatible for the most part. The WordPress ecosystem is known for being extendable so that people can use external theme and plugin solutions to build their sites. And while it’s impossible to check every theme and plugin in existence with Gutenberg, if you’re following best practices when it comes to which themes and plugins you use on your valuable website, you can bet your site won’t break with almost 100% certainty. One of the best things about using Gutenberg is that its interface is mobile-friendly. This means that the webpages on your site created using Gutenberg will render well for those on-the-go. 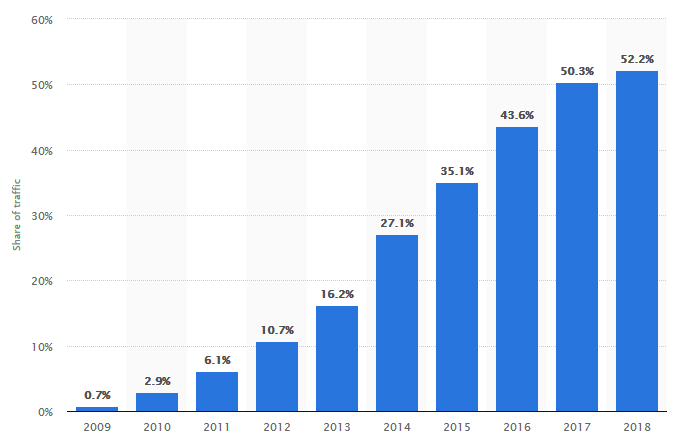 This is great because 52.2% of all global webpages in 2018 were served straight to a mobile phone, and the number continues to rise each year. Like most things in life, there are cons to using Gutenberg. And if you have a large website and a lot to lose, you should take care to understand what can go wrong when you make a major shift like this on your site. When it comes to making the transition to Gutenberg, and updating your site’s plugins and themes anytime afterwards, you should be careful. Always check to make sure to test all updates locally before pushing them live to avoid errors. Though you can expect most of your themes and plugins to be compatible with Gutenberg, you can’t expect every update to go smoothly. And if your site encounters a lot of errors when performing updates, your site’s SEO may suffer, which can do a lot of damage to a large business. If you’re concerned about plugin compatibility, check out the official results of the Gutenberg Plugin Compatibility project and see for yourself which plugins are expected to work, and which ones may cause problems. You should know by now that the faster your website loads for site visitors the more engagement, conversions, and sales you’ll secure. Site speed and performance also affect how well you rank in search results. Though it’s not entirely clear yet how Gutenberg’s extra weight will affect overall site speed and performance, you should know that its potential to slow your site down is there. Adding to that, as WordPress plugins begin to adapt to Gutenberg and include support for the new editor, there’s the chance your site will slow down, become vulnerable because of messy code, and begin conflicting with itself. Enterprises that use WordPress rely on experienced agencies to help them maintain their sites. But the thing is, many agencies that develop and maintain websites do not typically use page builders when building sites. Instead, they use custom fields and meta boxes and have their clients add the related business information. This not only makes it easier for web developers that manage multiple large sites at a time, it gives site owners a certain level of control. 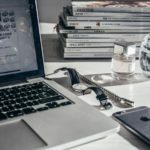 With Gutenberg, agencies that handle enterprise websites are either going to have to take on more work or take the time to teach each client how to use Gutenberg to achieve the same results as before. This will require lots of time and money and is not likely to sit well for either party. 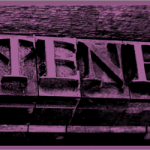 Whether you decide to start using Gutenberg as your WordPress editor now, or hold off and use the Classic Editor until things smooth out, the truth is, eventually WordPress will be 100% Gutenberg. And that means both the pros and cons of using this new editor will still exist. If you need help updating your enterprise WordPress site, are worried about breaking things because of the new editor, or just want to make sure your site remains secure, get in touch with us for your enterprise WordPress management needs.